What Happens If Your Potassium Level Gets Too Low? Potassium is an essential mineral for normal function of the human body. Specifically, potassium is necessary for normal function of nerve, muscle and heart cells. Normal potassium is between 3.5 and 5.0 millimoles per liter. A level below 3.5 is termed hypokalemia, which is a depletion of potassium that a variety of factors may cause. Symptoms of hypokalemia include weakness, fatigue, muscle cramps, constipation and arrhythmias. Certain medications may cause a potassium depletion. 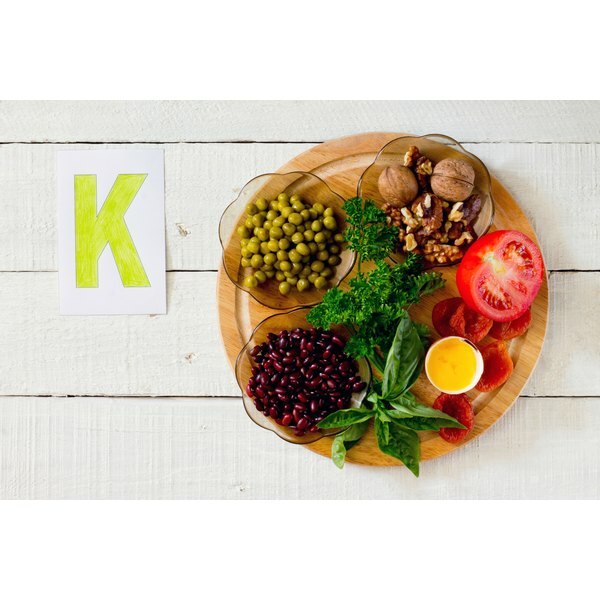 Specifically, diuretics, or water pills, are common causes of low potassium levels. This occurs because diuretics act on cells in the kidneys to remove water from the body. The same cell that transports water from the bloodstream into urine also allows potassium to leak out into urine. Over time, this can cause a potassium depletion. If diuretics are causing a severe potassium depletion, your doctor may need to adjust your medications. Diarrhea may be the cause of your depleted potassium level. MedlinePlus, of the National Institutes of Health, states that excessive diarrhea may cause potassium to be excreted from the body. Taking laxatives, which increase the rate of bowel movements, may also contribute to a potassium deficiency. If you take a laxative, you may need to take a potassium supplement to replace lost potassium. If the diarrhea is not related to laxatives, the cause of diarrhea must be identified to stop potassium depletion. Excessive vomiting may also be a reason for potassium deficiency. Considerable amounts of potassium are lost in gastric juices, which may lead to depletion over time. Therefore, the cause of vomiting must be treated to prevent further depletion. If you have bulimia, an eating disorder characterized by excessive vomiting, you may also be prone to potassium depletion. If you vomit excessively, you may need to take a potassium supplement to balance losses. Certain kidney diseases may affect your potassium levels. According to MedlinePlus, Liddle syndrome, Cushing's syndrome, hypoaldosteronism, Barter syndrome and Fanconi syndrome may cause potassium depletion. In this case, treating the primary disease or taking a supplement is necessary to prevent sodium imbalance. In severe cases, you may need a kidney transplant to keep the body's electrolytes, including potassium, balanced.